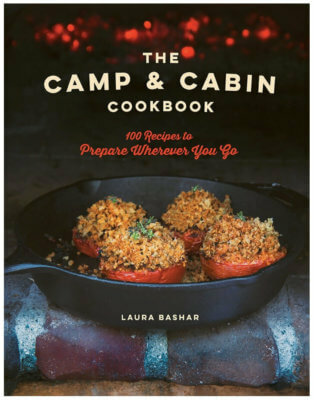 Some great inspiration on what to do with that leftover Thanksgiving turkey, from soups to pasta, scones to quesadillas! I can not wait for Thanksgiving and the amazing turkey dinner. It really is one of my favorite meals and favorite flavor combinations of all time. My enthusiasm got the best of me, so last week I made my family an early turkey spread. I think I was the only one completely savoring all of the leftovers for the next few days. My husband explained, “You know, you just can’t eat turkey everyday.” Um, yes I can. Millions of us wake up the day after Thanksgiving and find our kitchens filled with leftover turkey and a mish-mash of leftover fixings. Many of us have make the customary leftover turkey soup, others prefer leftover turkey sandwiches. There’s also Leftover Turkey Tetrazzini and other pasta dishes you can throw together with your leftovers. Got too much cranberry sauce? No such thing! 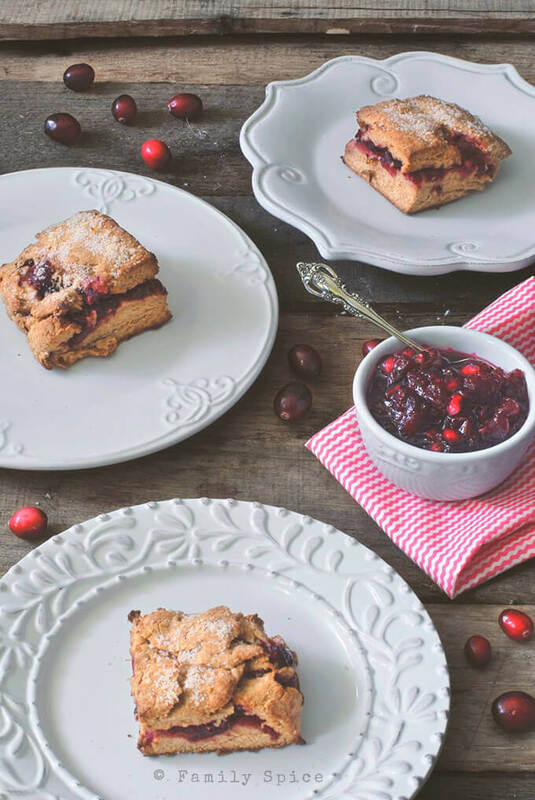 Bake them into Cranberry Scones! But last week I found myself with only turkey, roasted butternut squash and cranberry sauce to play with. I searched in my fridge for inspiration and found my low-carb tortillas – these babies have saved me on so many occasions. I also found a few bricks of cheese sent to me by Kerrygold and eyed my last bit of Skellig Sweet Cheddar, my newest cheese infatuation. I knew right away that I would whip up some quesadillas. The sweet skellig paired with the turkey and squash make an amazing combination. 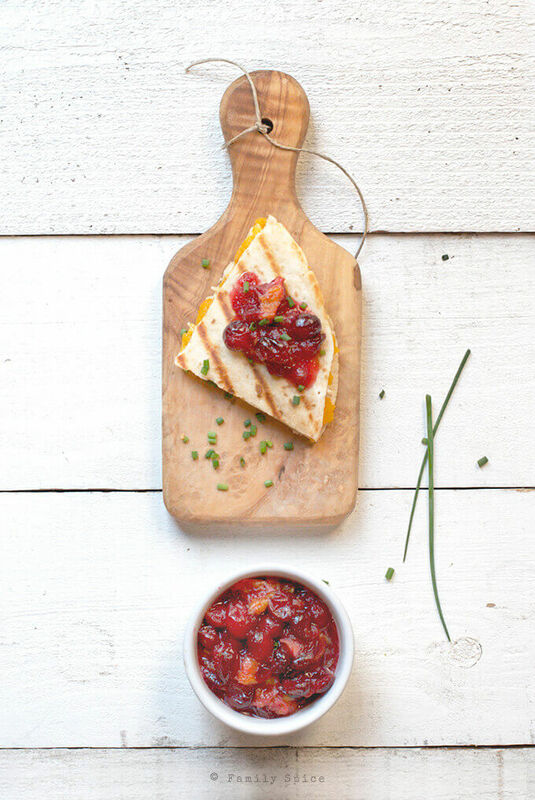 Served with a side of my favorite cranberry sauce, these quesadillas were da bomb! All of my favorite flavors of the holiday wrapped inside a tortilla and covered in sharp cheddar cheese. 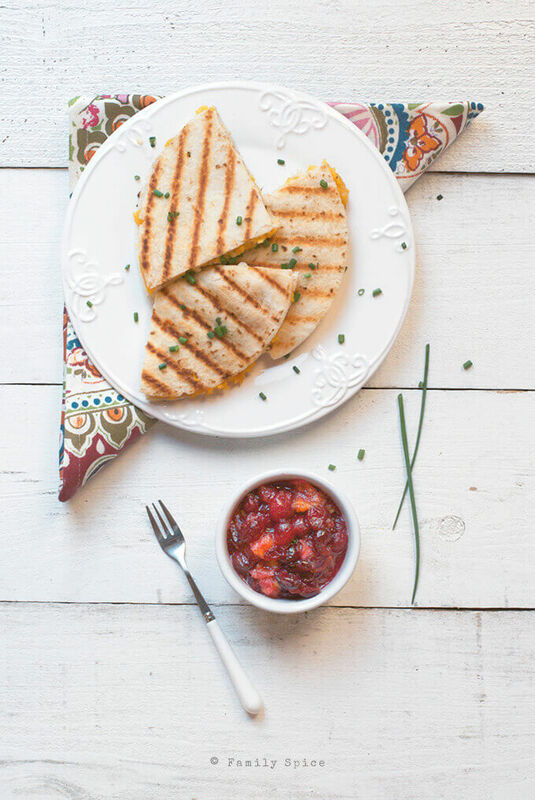 Place tortilla, squash side down, over the turkey-laden tortilla in the pan and press down. When first tortilla is browned, carefully flip quesadilla over and brown the other tortilla. Reduce head to medium if tortilla starts to burn. 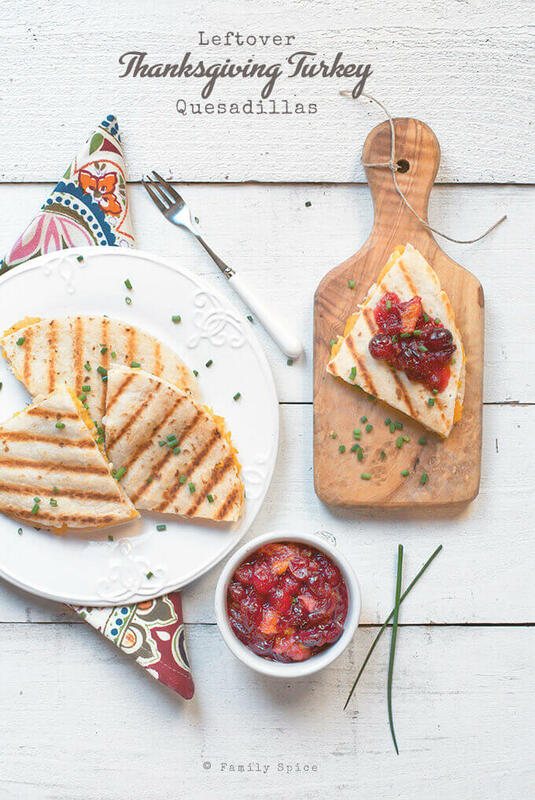 When both sides are browned, remove quesadilla from the pan and place on a cutting board. Cooking Tips: You can vary the flavors in the quesadilla but trying out different types of cheddars, from sharp to white to sweet Irish cheddar. And check out my pin board full of great Thanksgiving Leftover Recipes! What’s your favorite way to enjoy your Thanksgiving leftovers? The leftovers are the best part! We actually cook turkey several times a year, simply because we like it so much. Around Thanksgiving time, I certainly can eat turkey every day! 😉 The quesadillas are really a good idea – thanks. I have to step into the confessional – I have never ever made turkey quesadillas. What was I thinking? I LOVE them, well, I’ve never had them with turkey but how different can it be from chicken? Yum! Will do! These look so tasty, a perfect way to repurpose leftovers!